Of all of the 19th Century Old Edgefield District potteries in South Carolina, the Col. Thomas Davies pottery site is one of the lesser known. In 1862, a carpenter and mechanic named Anson Peeler from Bennington, VT talked local cotton planter Col. Thomas Davies into establishing a firebrick factory in Bath, SC on the South Carolina Railroad. Davies provided the capital and slave laborers while Peeler built and managed the operation. Peeler had been in the Bath, SC area since arriving with William Farrar in 1856 to build the nearby Southern Porcelain Manufacturing Company. 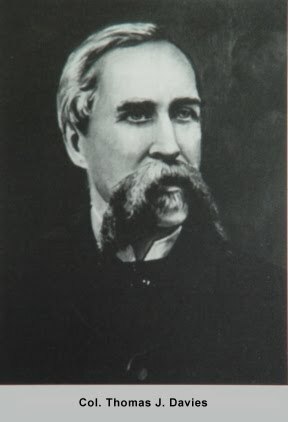 Peeler served as head carpenter and built the mold house, ware shed, steam engine shed, woodsheds and all of the other buildings at Southern Porcelain Co.
William Farrar’s residence was located at the Southern Porcelain site and was described in an Augusta, GA native’s diary entry as quite elegant. Peeler probably built this structure and the workman’s houses that sprouted up in the now vanished town of Kaolin, SC. Peeler had worked alongside Farrar while he was at the United States Pottery Company in Bennington before coming south. Peeler obviously possessed or gained a working knowledge of refractory and the kaolin clays surrounding both Bath, SC sites in the 6 years he had been around. 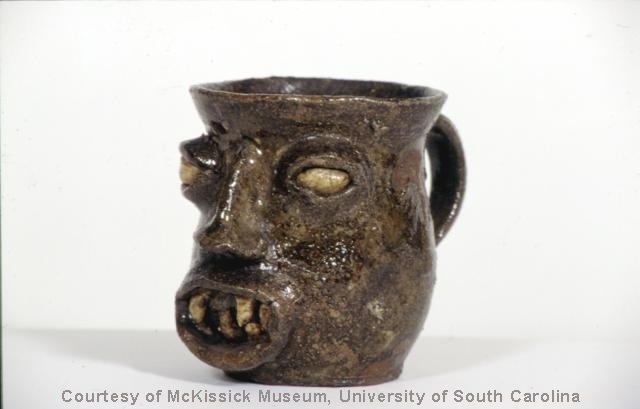 Records show that the Palmetto Fire Brick Works was pressed into service during the Civil War years making crude utilitarian wares including jugs, jars and cups for the Confederate hospitals. Ceramics historian and author Edwin Atlee Barber interviewed Col. Davies at his home and saw examples of the wares made at Palmetto Fire Brick Works. Barber notes in his 1898 book Pottery and Porcelain of the United States that Davies’ bricks were marked “Bath, S.C. Firebricks” and that they were equal in quality to any that had been imported”. 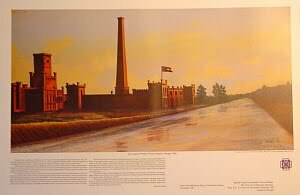 Barber notes the bricks were used extensively in the great furnaces of the south in manufacturing ordnance and in powder works, the closest being the Confederate Powder works a few miles away on the Augusta Canal. Barber also states the company grew quickly and manufactured crucibles and tiles for gas works. Barber talked at length with Col. Davies about the face jugs that the African slave workers began to produce there. He noted the kickwheels and long, horizontal kilns used in ceramic production at the works. He described the glaze on the pottery as a mixture of sand and ashes, which were black or brown, clumsy, but strong and admirably adapted for the needs of the time. Barber notes that production was suspended at the end of the war and that Davies then engaged in mining kaolin and china clays. The clay beds used by Davies and Southern Porcelain Company were some of the finest of the area’s kaolin belt. Today, it is known as McNamee Clay and is prized in the manufacturing of numerous items, from porcelain to tires.